For many attorneys, talking about unbundled legal services ranks right up with non-lawyer ownership as forbidden topics. Hell, if you’re one of the several state bar groups who has sued Legal Zoom, it may be even worse. However, there’s no way to talk about how technology can benefit lawyers without giving appropriate recognition to unbundling. We see it everywhere. From eDiscovery to legal forms, it’s all around. As many have suggested, unbundled legal services are the future, and failure to adopt could result in being left behind. So you’ve decided to adopt. You created yourself a nice little forms library, and most of them sit unused on your infrequently visited website. 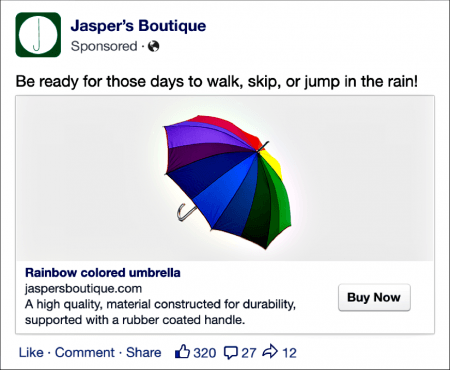 Facebook has long offered promotional posts, but they have been fairly restrictive as far as content is concerned. 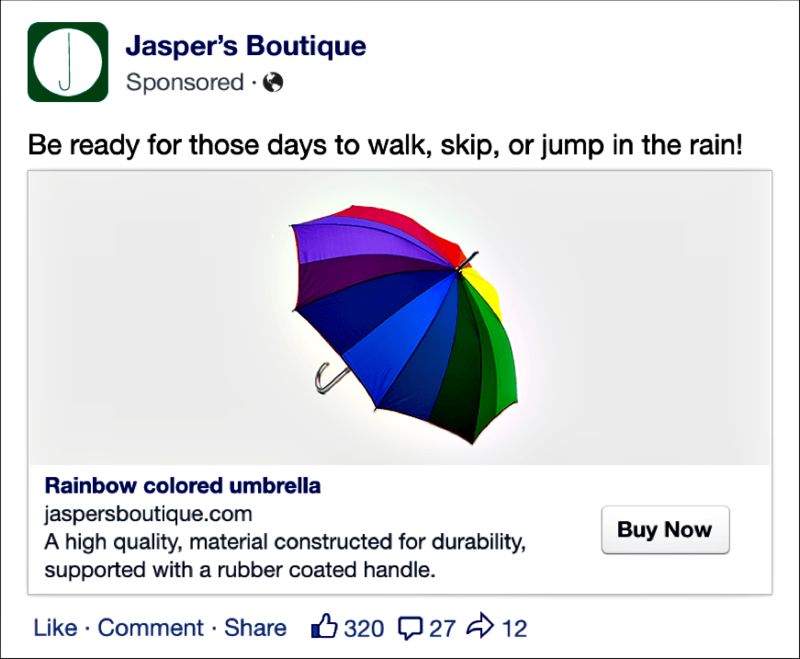 Each ad has a headline, text, a photo, and a link – and each ad would link to one particular landing page. In the real ad, you’d be able to scroll left or right at your leisure. The drawback to images of a web page! If you have a package of multiple forms for small businesses, try different combinations. You can advertise up to six, so maybe one is your small business creation ad, with LLC formation, articles of organization and sample bylaws. Or if you sell form wills, maybe rotate a couple different types of trusts. It doesn’t have to be products, either, so you can raise awareness for your law firm’s practice areas as well. Remember, advertising can have other goals than 1-to-1 conversions. 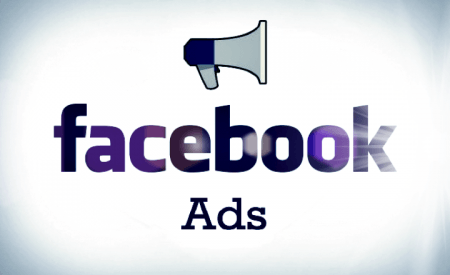 In order to set up a carousel ad, you will need to use either Facebook’s API or the Power Editor. Facebook is crazy about video now. You might have noticed them on your news feed. Facebook boasts that videos are viewed over 1 billion times per day. They’re going all-in for video, and they’ve given you some new ways to make use of them. One of those ways is by adding a Featured Video to your page. Let’s face it, one of the reasons you’re even trying out offering unbundled legal services is that you hope it will lead to clients. You want users of your product to think of you first. Well, getting them to use your product isn’t necessarily the easiest thing, and your product may not be as easy as Legal Zoom’s guided tour. You know what can help that? A How-To video, right on your page. 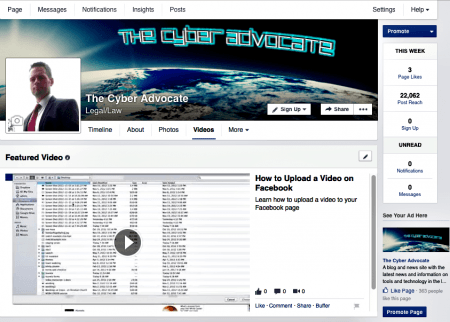 My page currently features a “How to Upload Video to Facebook” video. To add a featured video, click on the Video tab of your Company Page (it might be contained in “More”). From there, Upload a Video. Once you have at least one video uploaded, you will see the option to Create a Featured Video. Click that, select your video, and you’re done! You can also add your videos together into a playlist, and include your video in your ad campaigns. Teaching people how to do something is a fantastic way to draw attention to the unbundled legal services you offer. So target audiences are nothing new. 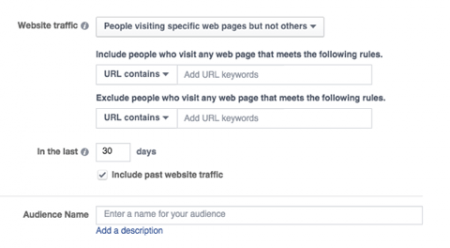 It’s been available on Facebook for a while, and it allows you to narrow the focus of your ads. But selling unbundled legal services is a little different than the regular practice of law. You’re going for volume. So, you can sell your products and hope that those customers will buy something else from you down the road. Or you could advertise your other products to those people specifically. Remember, they’re special. They’ve purchased something from you already! That’s where remarketing comes in. You can target your ad to people who have purchased from you in the past! Facebook’s custom audiences allows you to use any number of lists to create a group to advertise to. You can upload contact list, import an email list from MailChimp, or even link it to visitors to your website. The second allows you to filter so that your ad only reaches people on your list who haven’t visited in a certain amount of time. The best part about these features is that it enables you to do things like target advertisements at people who have visited your site, but haven’t bought anything. Do you offer a new type of eDiscovery product? Target only litigators who have visited your page in the past but didn’t sign up for your service! Here’s where your advertising really starts using all the technology other marketers have been enjoying for the past few years. Similar to remarketing, dynamic product ads show users products from your entire catalog based on what they’ve viewed on your website or app. That’s right, they don’t even have to have made a purchase! Think of these ads as “fire and forget.” They’re always on, and they’re always highly relevant to the individual user. While you might not be eligible to use Dynamic Product Ads at the moment (some of you might! ), they’ll be available soon. Imagine being able to advertise the right legal product to your customers. Is there anything else more likely to turn them into clients? 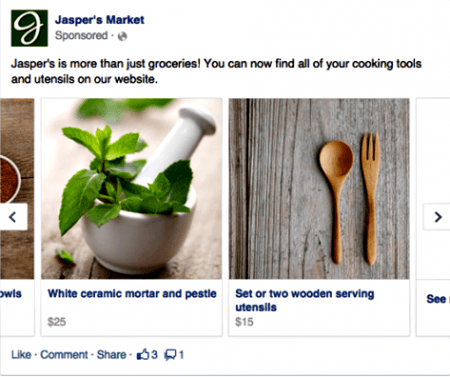 If you have a large and growing catalog of unbundled legal services or products, you really need to take advantage of these new Facebook tools. They could almost have been designed with your products in mind!